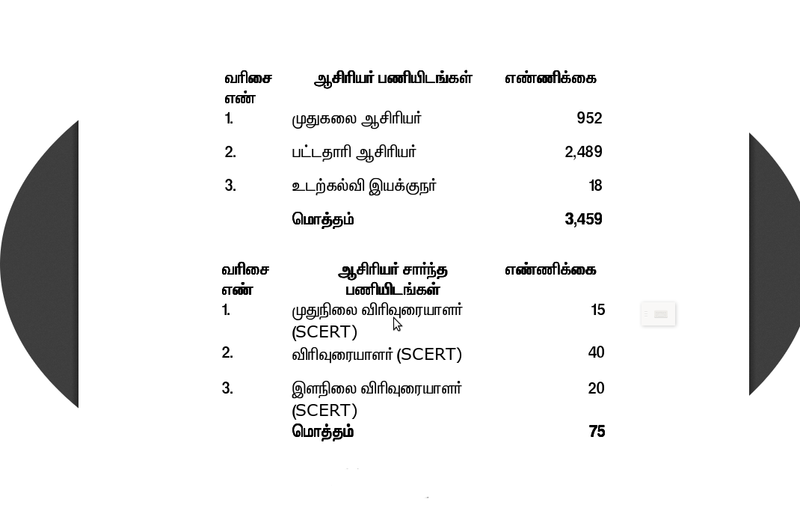 Yesterday (17-07-2014) , during the School Education Department Policy Note ( மானிய கோரிக்கை ) , the Honourable Minister for School Education has informed this year there will be 3,459 new teachers appointments in this Academic Year. How many BT, PGT Vacancies ? There will be 2489 BT Assistants, 952 PGT vacancies , 415 other posts. For more details about Honourable Minister's Announcement . Download the full announcement from the following url .